A U.S patent issued today to the University of Rochester and two other entities for the use of compounds related to a popular spice in the fight against cancer, acne, baldness, and other medical conditions. The patent centers on compounds related to curcumin, the compound that is the main ingredient of the spice turmeric and a central ingredient of curry. The patent is for research led by Chawnshang Chang, Ph.D., director of the George Whipple Laboratory for Cancer Research at the University of Rochester Medical Center. 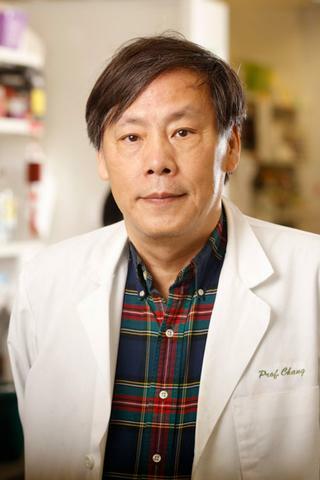 Chang is one of many researchers worldwide investigating the potential biomedical benefits of compounds related to curcumin, the spice that typically gives mustard and curry their bright yellow colors. Two dozen patents dating back to 2004 have been issued to the University for Chang’s work on compounds related to curcumin, which is a member of the ginger family of spices. Patents have been issued in China, Europe, New Zealand, Korea, Singapore, Hong Kong, and Australia, as well as the United States. Chang’s work at the University is licensed to AndroScience Corp. of San Diego, a biotech company co-founded by Chang. The University owns a stake in the company. The patent focuses on the potential for compounds related to curcumin to fight prostate, bladder, liver, and other forms of cancer related to male hormones, as well as conditions like acne, baldness, enlarged prostate, and excessive growth of body hair. Those conditions and others involve the androgen receptor, which is best known as the molecule through which the hormone testosterone acts in both men and women. Chang is developing molecules known as “androgen receptor degradation enhancers” that would degrade the androgen receptor. The work aims at developing compounds that treat conditions like prostate cancer and acne more effectively, with fewer side effects, than current medications. For centuries, curcumin has been used to treat a variety of ills in Asia. Chang notes that ginger, a family of spices that includes curcumin, is widely used in China as a folk medicine to treat male-pattern baldness. As a youngster growing up in Taiwan, Chang was well aware of that tradition. He later became an expert on the androgen receptor; he and other scientists have shown that compounds related to curcumin exert powerful effects through this receptor. “It’s exciting and gratifying to be part of the broad effort to learn more about how compounds like ginger and curcumin exert potential health effects, which are well recognized in China and other cultures, and to try to harness them to treat people with diseases like prostate cancer,” said Chang, who is also a faculty member in the departments of Urology and Pathology and the James P. Wilmot Cancer Center. Chang’s laboratory, in collaboration with scientists at the University of North Carolina at Chapel Hill and AndroScience, has screened hundreds of compounds for their activity involving the androgen receptor. One of the most promising is ASC-J9, a synthetic chemical compound that is a derivative of curcumin. Significantly, however, ASC-J9 has been chemically modified compared to its natural counterpart to make it much more powerful. In 2009 AndroScience announced the results of a clinical trial showing that ASC-J9 as a cream to treat acne is safe and effective. With funding from the National Institutes of Health, the company is also studying the development of an oral treatment against a rare neuromuscular condition known as Kennedy disease. Today’s patent was awarded to the University of Rochester, to AndroScience, and to the University of North Carolina at Chapel Hill.